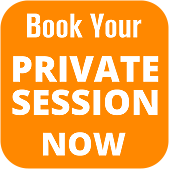 Ken is offering private sessions by phone for individuals that want to take their manifesting to the next level. It may be about getting properly launched, fine-tuning where you want to go or reducing blocks or worries. You will come away with a clear script and manifesting plan for the future you desire. Follow up sessions are perfect for those that need additional help or creating new goals. The sky is unlimited. There is always much to discuss and your conversations will be kept private and confidential. Two hour private session $250. 1/2 hour review session (previous two hour session required) $95. Ken will be notified of your appointment and he will contact you within 24 hours by email to set up a time that works for you.